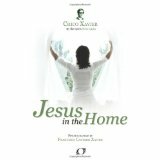 In the book, Jesus in the Home, psychographed by Francisco (Chico) C. Xavier and inspired by the spirit Neio Lucio, there is a talk by Jesus Christ, when he was in the house of one of his disciples. It is in Chapter 33, titled “The Divine Plea”, on page 125. “My dear ones, those who seek the Sun of the Divine Kingdom must arm themselves with love in order to win the great battle of the light against the darkness. And to store love in your heart you must first broaden your sources of mercy. Let us take pity on rulers; those who have been raised to great heights without adequate support may fall into a ravine of darkness. Let us help slaves; those in the thorn bushes of the valley may get lost in unconformity before they can climb the mountain of redemption. Let us help children; the tender herb may get scorched in the midday sun. Let us help the elderly; the night is not always blessed with stars. Let us extend a fraternal hand to the criminal along the roadside; remorse is a devastating volcano. Let us help those who seem to be blameless; there is an infallible righteousness above the human realms, and not all those who die blessed in human eyes ascend to be blessed in Heaven. Let us help those who teach; masters are tormented by the very lessons that they teach others. Let us give aid to those who learn; disciples who study without applying what they have learned acquire a heavy debt before the Eternal One. Let us strengthen those who are good; on earth the threat of discouragement hovers over everyone. Let us help bad people; hardened spirits may turn wicked. Let us remember the afflicted and fraternally embrace them; pain, when misunderstood, turns into a bonfire of anguish. Let us help those who are happy; the storm usually surprises careless travelers with death. Health demands cooperation so as not to be ruined. Sickness needs medicine in order to be overcome. Government requires help so as not to overstep its bounds. Obedience demand friendly support in order not to lose itself in despair. As long as the Kingdom of the Lord does not shine in people’s hearts and minds, the earth will remain a school for the good, a purgatory for the evil and a pain-filled hospital for all types of patients. Without a lamp lit by fraternal compassion, it is impossible to heed the Divine Will. In essence, we are being told that all require love and compassion and all of us, in whatever state of happiness or despair need fraternal support, because our earthly journey is not an easy one. We should remember the constant watchfulness of the spirit realm. In my book, 7 Tenets of Spiritism – How They Impact Our Daily Life, I demonstrate, by my own experiences and of others how we are being guided to succeed during our trials on earth. We reincarnate on earth for a purpose, and that is to learn to improve our soul. To be ready, someday, to become a higher spirit. A spirit that is able to return to earth to help others. Learn about how we reincarnate and what the spirit world does for us to prepare us for one more life on earth in my book, The Case for Reincarnation – Your Path to Perfection.